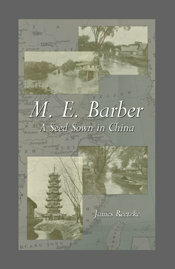 M. E. Barber served the Lord as a missionary to China from 1896 until her death in 1930. During the first period of her service she was associated with a missionary society, but in the second period, which began in 1909, she went out on her own, trusting the Lord to supply all her needs. Though she is not well known, her service to the Lord was with great effect; Watchman Nee testified that it was this sister who raised him up in the Lord. We have much to learn from her life.